Twitter Marketing Excellence is the take action tool that’s going to show you how to take full advantage of this insanely powerful social media site so you will shine. It really doesn’t matter what marketing strategies you’ve tried and failed with before because regardless of the business you are promoting, Twitter will take you straight to the top. You do like it on top right? Twitter reaches out and touches millions of qualified people, which makes it super amazing for locating your niche traffic and ramping it up a notch or ten in the sales department. Pretty cool if you ask me. In this guide you will learn how to easily win your audience over and set up your stellar marketing campaign. Ultra cool don’t you think? Not to mention vital. 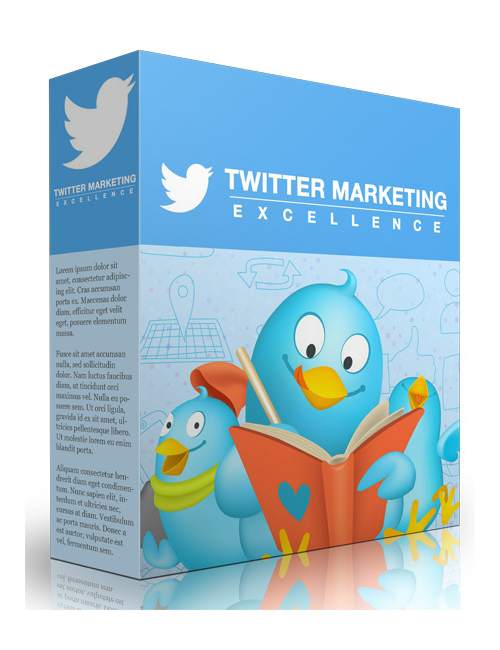 Twitter Marketing Excellence is your solution to creating your “A” marketing game. Time to bring it on.